X-ray opaque, rubber suction catheter with thumb valve, whistle tip, and two eyes. Single-use. We ordered a bard catheter because my husband likes none other. It showed in stock online but I called to place my order. They charged my credit card and I even paid for rapid shipping 1-2 days. Ordered on a Thursday afternoon but they said it would not get there til Mon or Tues because the weekends are not counted. Wednesday I called because they had not arrived and they told me they were on back order. We were out and reusing one. I think I should not have been charged till the order was filled and I think I should have been called as soon as they found they were backordered since I paid for rush shipping. My husband has a tracheostomy and is on a ventilator. He doesn't have a very good diaphragm, so he needs more frequent, gentle suctioning. Unfortunately the vinyl suction catheters that home care and Medicare cover make him bleed and irritate him and create problems instead of solving them. These red rubber suction catheters are far gentler and do a much better job coaxing secretions out of his deeper lung areas. Vitality medical seems to have the best price around, too. Highly recommend for both tracheal and NT suctioning! Very fast shipping and delivery. Items were exactly as described. Will order from here again. Did not received the product nor the money back! I will never buy from here anymore, hey didnt send me the 50 dlls product i bought! Nor the money back. What a loss! Please avoid this site! These suction catheters are designed in the form of flexible long tubes. These tubes are in turn used to remove respiratory secretions of the airway. 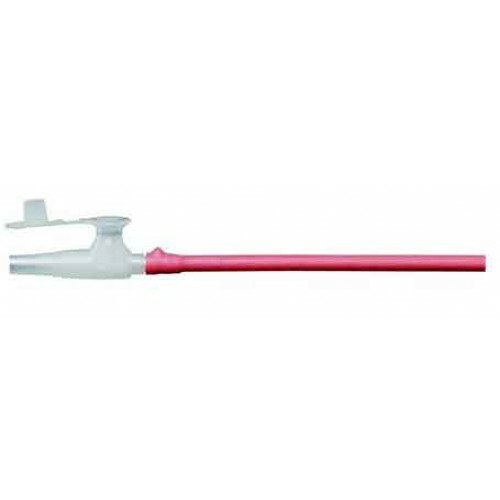 The act of suctioning is essential to keep the airway clear of secretions and it has capability to prevent plugging. One ending of this medical product is connected to a suction canister. It also has a device that is responsible for generation of suction. Great value for the price. It doesn't move too much and maintains its place. I love that it is made of latex as well, making me feel secured that it's not accumulating bacteria . I would definitely recommend this to anyone who needs it!